Travel Horizons: succumbing to the credit card "point" game? succumbing to the credit card "point" game? I read with some bemusement the miles and credit card blogs reporting on all the sign-up bonuses and benefits offered by credit cards. For the most part, I have avoided playing that game. Yes, I have chosen my credit cards based on the benefits — admission to airline lounges and travel credits. I once applied for a pair of British Airways cards — one for my wife and one for me — because they were offering 100,000 miles per card; I've held onto that card for the annual 2-for-1 award travel opportunity. In other words, I choose credit cards based on their perceived usefulness to me. I'm going to Australia this September and recently purchased tickets for that trip. I could find no award availability on the SFO-SYD non-stops; I was unwilling to fly United economy to Houston for business class flights to Sydney. How to pay for those tickets? I contemplated the possibility of cashing in (most of) 42 years of accrued American Express points for one of the tickets but wrestled with the suspicion that getting 1¢ of value per point was not my best use of those points. Posting a question on FlyerTalk for advice, I was surprised by the answer. 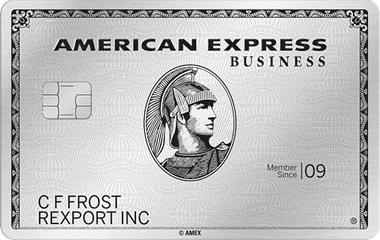 While my American Express Platinum personal card yields 1¢ for a redemption, the American Express Platinum business card yields 1.5¢ per point. By procuring a business card (which I did on the last day before its annual fee increased), I increased the value of my stash of points by several thousand dollars. I reason this transaction was well worth the annual fee. So I bought the tickets with my personal Platinum Card. This yielded me an extra 3.5x points per dollar and a four-figure commission in cash. The personal Platinum purchase will net a return roughly equivalent to the 75,000 point sign-up bonus, but leaving me in the position of still having to make that 20K spend by the end of April. Decisions still to be made: canceling the personal card in May, canceling the business card after one year (and spending my points), or keeping both. Have I succumbed to the credit card game? I'd be interested in your thoughts.